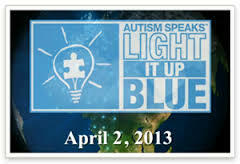 TOMORROW, April 2, 2013 is LIGHT IT UP BLUE for AUTISM AWARENESS. 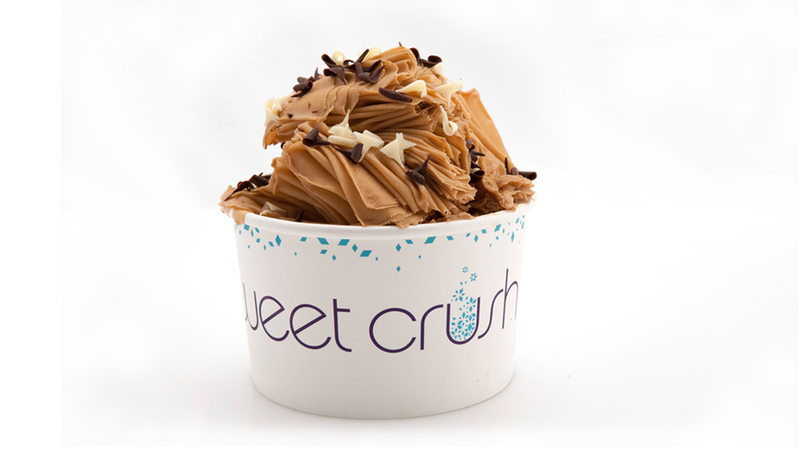 So, it is my pleasure to introduce you to SWEET CRUSH ICE, a Los Angeles based dessert company who will be helping to give back to the Autism community with every taste of their incredible low-fat dessert on this special commemorative day! I first met, Yael Lustman, owner of SWEET CRUSH ICE at an OSCAR party given by OMGInsider. This high energy entrepreneur impressed me so much with both her business savvy and her delicious sweet product that I invited her to be my guest on the 411 VOICES radio network SPOTLIGHT show. (Click here to listen to our interview). What I discovered is that Yael didn’t want to skimp on the taste of her shaved ice nor the quality of her storefront (Which rocks with non intrusive changing lights and ipads which take photos of happy customers!). All this truly shows from the moment you enter the SWEET CRUSH until you take the last bite of this naturally flavored shaved ice with oodles of toppings sprinkled with Asian flair! I thought it would make the prefect place for kid birthday parties or ladies’ night out. During our interview I discovered that family and wanting to do “more in life” was what prompted this once Wall Street attorney to leave it all behind for the long hours and the trials and tribulations of owning a food based business. Yael shared her pearls of wisdom on air (won’t give away too much here), as she stressed that the smiles of people young and old and the versatility of owning a community shop gives her much joy and feelings of accomplishment. She also mentioned that without the power of social media she wouldn’t have met as many connections resulted in garnering the attention OMGInsider and the OSCAR committee. If you are looking for a company that provides something yummy, healthy and has a heart for giving back to the community please check out SWEET CRUSH ICE. Address is below. Conveniently located next to Whole Foods in Brentwood. Help them LIGHT IT BLUE for AUTISM on APRIL 2nd! A portion of their proceeds on this day will be donated to local Autism charity. Note: I received nothing more than a groovy t-shirt and free Sweet Crush Ice to sample in exchange for this blog. Whenever I make it to LA, we simply MUST go to Sweet Crush! Yum-o! You on the chair in front of the store-front? True Louise! Miss you! Tshirt with your name on it waiting her at Sweet Crush!